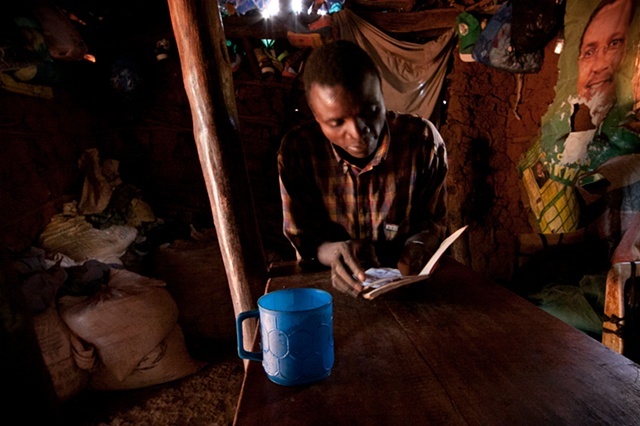 Marijani, Rafiki's husband, reads from his prayer book before heading out for the day. He is a very active member of the local Catholic church. The torn poster behind him depicts the current president of Tanzania, Jakaya Kikwete. The posters are given out free during elections and wallpaper most every villager's wall.